I'm just gonna start this one off with a disclaimer: I'm tired. Super tired. Whoa tired. So if it seems like I'm phoning this one in...*motions you forward and whispers*...it's cause I am. Anyway, let's talk Wedding for a minute. A few weeks ago I talked to y'all about my AMAZING photographers. Other than Paul, they're quite possibly my favorite detail of the upcoming wedding. I know they'll capture our day beautifully. In addition to photography, however, I'd also like some video of the day - the giggles in the dressing room, the sound of our voices when we say our vows, the toasts and the laughter at the reception - all things that can't be captured on with still photos. The problem is...I kinda blew my budget on photography...plus some. So I was in a bit of a bind when it came to finding a solution for videography. Enter the wonder of social media. 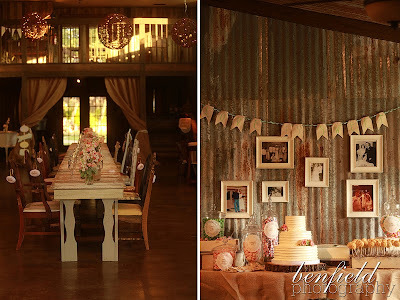 There are several companies out there that will let you rent Flip cameras for the day in lieu of a videography team. You then mail the cameras back and they pull the footage off for you. The one I've seen the most of is Wedit - they send you 5 cameras for 7 days, you record as much as you can fit on the cameras, send them back, and have access to all of your video via their online server - all for $400-$500. The problems I have with them are 1) they've started sending iPod Touches instead of Flip Cams...and I have trouble trusting that for some reason, and 2) any editing cost several hundred extra. So, we'd have video...but we'd likely go months before having the time to edit it, and even then...I'm not sure we'd really do it. Didn't seem like the best deal to me. I found several other vendors who'd just send cameras for a week for super cheap, but again, no editing available. I was beginning to lose hope. Um, hello way better deal! So that's who we went with - and I'm actually kinda excited to see how it turns out. I'll have the code to share with everyone at the wedding. I'll also have a coupon to share for anyone interested in using Wedding Mix for THEIR wedding. Just let me know! Thanks for swinging by! Just 101 days to go now! The Boy: "No no no no no no. Black socks go with black suits!" I quickly backed off before I broke him. We clearly like our traditions in the Soon-to-Be-Valentine household. Don't get me wrong - I'm all about traditions: I make my family watch the same movie every Christmas, I put the ornaments on the tree in a specific order, we eat certain meals on certain holidays, there are ALWAYS spinach tarts at Thanksgiving...you get the point. I, however, also like trends. But I like them when they serve a purpose, not just because they're trendy. For example: I adore mason jars, and I'm planning on using them ALL OVER THE PLACE at my wedding. Not because Pinterest says they're cool, but because they remind me of my childhood. Fun socks, however, is apparently a trend we are NOT embracing. Sweet Boy. The conversation did get me thinking about other trends & traditions we're incorporating or jettisoning for Our Day. I did a quick Google search on "wedding traditions," to see where we ranked on the Traditional-to-Crazy Hipster scale. While people aren't huge fans of the bouquet toss, they HATE the garter toss. Hate it. A lot. We're selfish for wanting other people to be in our wedding and for registering...um...wait, what? The British are ABSOLUTELY INSANE. Did you know they believe that finding a spider (yes, SPIDER) on your dress is GOOD luck?!? I'd have to burn down the chapel. NOT okay, Britain. NOT. OKAY. I also discovered that we're somewhere in the middle on the aforementioned scale (that's like the second $5 word I've used today...go me). We're keeping most of the "big" traditions, eliminating some less necessary ones, and going semi-hipster with the feel (according to this infographic). Cutting the Cake: I paid a lot for that cake (ok, Daddy paid a lot for the cake). Either way, it was expensive and y'all are gonna come watch me cut it. Then everyone has to eat some. I don't care about your New Years Resolutions. Plan in advance - "No sweets except Alana's Wedding Cake" See? Easy. First Dances: Yes. Several. But then y'all get to dance, too! So everyone wins! Toasts: If the bridal party feels so inclined. Daddy will. Everyone bring tissue. Not Seeing Each Other Before The Wedding: If you've ever been around me when I'm planning a party, you know I get a bit...twirly. I'll need a hug from The Boy (Momma calls him the Alana Whisperer) to calm me down. And I want sunset pictures. So yeah, we're skipping that one - bad luck be darned. Unity Candle (or Unity Anything): Once I get to my "spot" at the front, I'm not movin' 'til it's over. I have an overwhelming propensity to trip over air...not gonna risk it. We're going with that whole ceremony thing being the "unity" bit. Bridal March: I will not walk up the aisle to a song when the only lyrics I know to it involve the words "fat and wide." Nope. Not gonna happen. Switchin' that one up. Receiving Line: No. They make me nervous. And they're boring to stand in. I just don't want to. I'll hug y'all later. Cake Smooshing: Again, we paid a lot for that cake. I also paid a lot for my makeup. I want to enjoy both. No smooshing (yes, that's a technical term). And the previously mentioned "way-too-colorful" socks. Now you know what to come prepared to deal with. I can promise you, that despite the garter tossing and exclusive starter dances there will be good food, good cake, good drink, good music, tons of good company - and a huge (non-receiving line) hug from me if you show up. So come on out. Can't wait to celebrate with y'all! I’ve found, that when planning events of any kind, the first step – even before budgeting – is to make a priority list of everything you want. That way, you know where to focus the lion’s share of your time, effort, and funds. The same idea applies even more to a wedding: identify your top five priorities, then focus everything else around making those happen. At the top of my priority list for the wedding? Amazing photos. I want to remember every single moment and detail of this day – even the bits I don’t get to see. The day lasts for a few hours, the photos we can keep forever. I can still remember sitting cross-legged on my living room floor gazing romantically at my parents’ wedding album. I loved that book – it was like our own family fairy tale. Sure, there are other important elements on that list that I’m definitely not ignoring – a warm, comfortable atmosphere, good food, entertained guests, a show stopping dress – but the photos are a passion point in my world. I don’t want just anyone taking the photos at the wedding. That’s a lot of pressure to put on an unseasoned, inexperienced photographer. I want an expert. Someone who knows how important these images are. How much their brides cherish them for years after. Someone who understands how insane a wedding day can be and how nervous/excited/scatterbrained the bride and groom will get. Someone who not only understands it, but loves it. Someone who thrives on the emotion and excitement of the day and knows how to capture all those precious little moments that happen oh so quickly. I want someone who is as passionate about these photos as I am. I’ve had a specific photographer on the top of my Wedding Wishlist for something like six years. Long before I met Paul. Long before I had any idea what the rest of the wedding looked like. The colors have changed, the scenery has changed, the location has changed, but the photographer has always been the same: the Benfields. So, when all this wedding stuff became real, they were the first call I made – even before we’d settled on an official date or location. And, to my absolute delight, they were available for the date we wanted! I squealed when I got the reply back saying they could do it – I booked them without a second thought. Since then, we’ve had a chance to visit with them and discuss packages, the location, ideas for engagement photos, and so on. These people are wonderful – they’re both so warm and welcoming – it’s like hanging out with old friends. I felt instantly comfortable with them, and they seem to truly understand the vision I have for the day. So much so that, after our discussion, I’m already excited to see the shots they get of moments that haven’t even happened yet! 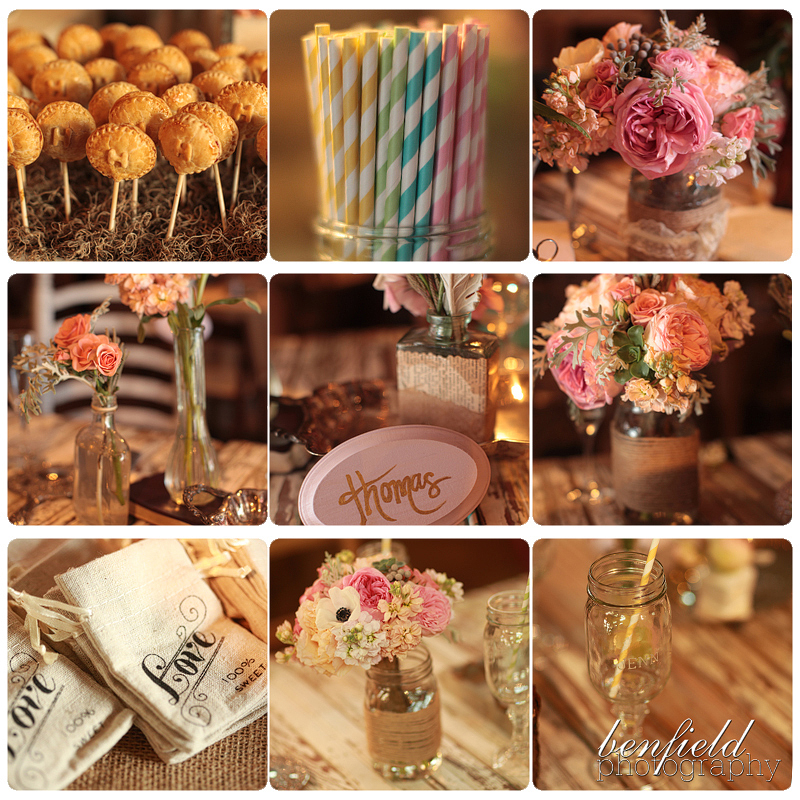 If you’re familiar with the Benfields, you know how absolutely incredible their work is. If not, here are just a few examples I’ve pulled from their website. Dale posts every day, and it’s just overflowing with all sorts of pretty things. Go browse for a minute or two and you’ll understand how I fell in love with them. 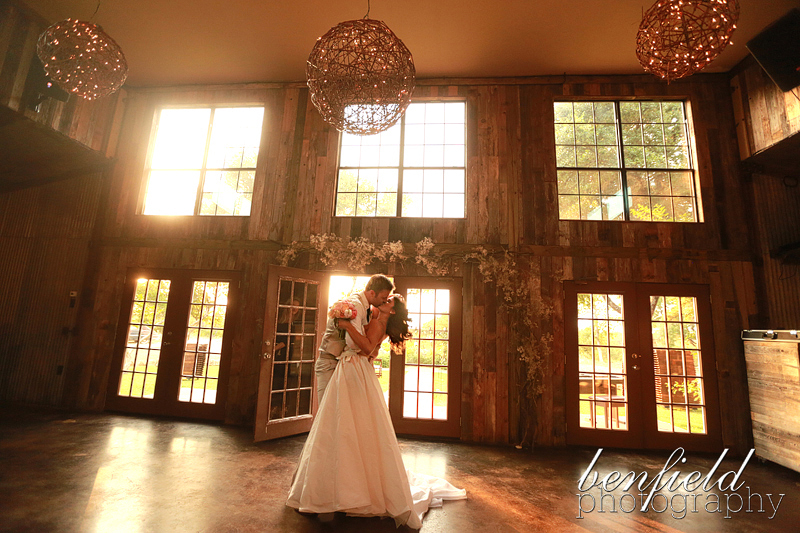 Benfield Photography started in 1998 and quickly became one of the most sought after studios in the area. 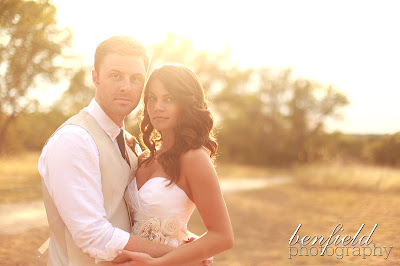 After moving the business to Arkansas in 2006 (because Dale fell hopelessly in love with Meredith and hated being so far away from her), Meredith joined Dale as a full-time wedding photographer. 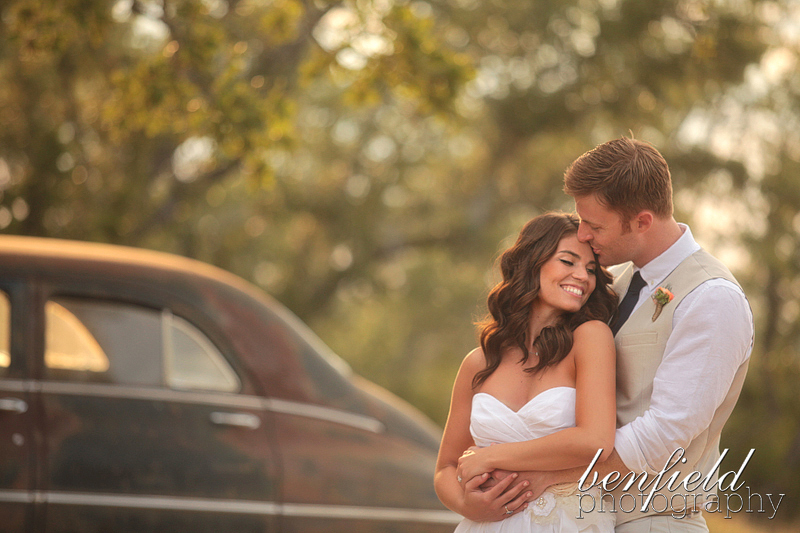 We describe our images as timeless, storytelling, with amazing portraits. We work hard to capture all the little details of your wedding day, while also collecting all the special moments that you'll want to hold on to, and shooting great wedding portraits of the bride and groom. We pride ourselves in being able to shoot these no matter where in the world you're getting married, as we work in all types of lighting situations, and also take into account your wedding style. We're able to capture your wedding day whether it be a vintage wedding, rustic wedding, modern wedding, green wedding, etc. See what I mean? They’re just plain awesome. Can’t wait to see what they do with our day. My office does fun stuff all the time - birthday celebrations, Rick's sausage rolls and donuts on Fridays, etc. We do SUPER fun stuff pretty often - picnics at the park, surprise sundae bars, roaming office troubadors, etc. But occasionally, we do stuff that blows the rest of that out of the water. The Humane Society of the Ozarks publishes a coffee table book every year called Tails of Love. The book is sold to raise funds to cover the services that the HS provides. They find photographers willing to donate their time, and anyone interested in being featured in the book can apply to have their pet's photo taken. The shoots are free and all proceeds from the sale of the books go to help animals in need. This year, Saatchi decided we'd like to support the organization - so we gathered all of our employees with pups (which...is A LOT), crammed us in the theater, and took a group photo of us "at the movies." If you look closely, you can also spy a turtle hanging out in the audience. 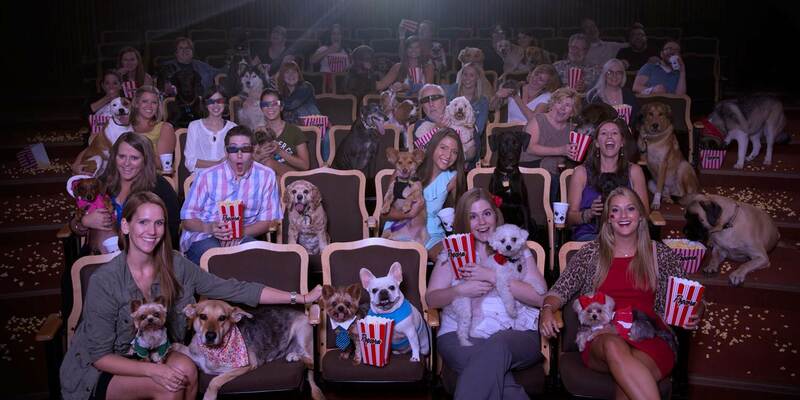 We had a FANTASTIC time shooting (and the dogs loved all the free popcorn). This photo makes me so happy - I work with some pretty awesome people (who have some pretty adorable pets). If you're local, keep an eye out for the book. Grab a copy and enjoy all the other super fun photos. It'll put a smile on your face and help some local furry creatures. Win win. Yeah, you in the corner with your stack of Twilight movies and Katniss paraphernalia, I'm talkin' to you. I've likely stumbled across your blog in an attempt to plan my honeymoon trip. Instead of providing useful tips, however, your blog offers nothing more than the whiny, misinformed ramblings of someone who shouldn't be allowed to be in the same room as a Harry Potter book, much less visit an entire world dedicated to him. You sit up there on your mighty blogger throne and call my dream park "lame?" Who the heck do you think you are? Have you sat up, at 3 am, clutching a book to your chest and sobbing because your favorite author just killed another one of your beloved characters? Have you? HAVE YOU? If you'd read the books - yes, books. You know - those heavy things with pages and words that you use to make your shelves look fancy? If you'd read them, you'd understand the magic that each contains. The beauty in the way the characters lives intertwine and meld. 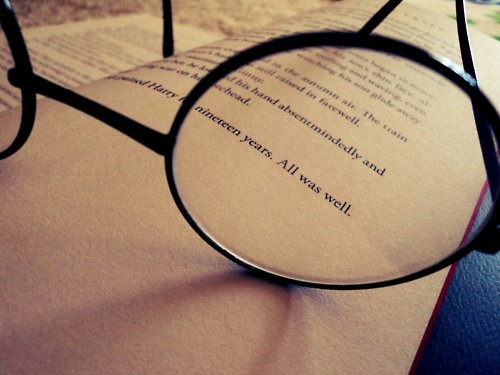 The ability of Jo's words to transport you to a world entirely real and entirely fantastical all at the same time. If you'd read the books, you'd long for the chance to stand in the "impossibly slow" line outside of Ollivander's in order to watch the "silly show" where a wand chooses a wizard. You'd revel in the fact that the lines to ride the Forbidden Journey are "too long" because it gives you a chance to spend time inside a castle you've only seen in your mind (or on screen). You'd be enchanted - if you were a true Harry fan. Because true Harry fans believe in magic. And they know that magic isn't always seamless, it isn't always perfect, and it isn't always fancy. So you, over there, thinking you're better than my park - I pity you. You're missing out on something incredible. But go ahead. Enjoy your apathy, your ennui, your skepticism. Enjoy your heart that is so "mature" and "grown up"...that it can't remember what true joy feels like. And while you're enjoying it, stay the heck out of our park. It makes the lines shorter for the rest of us. Mom, Dad, The Boy, Kait, & Heather all came to town this past weekend. It was awesome. But also quite productive. We did all sorts of "wedding checklist" things - like picking out tuxes and bridesmaid dresses and shopping for shoes and tasting cake. We tried three different Northwest Arkansas bakeries - all of which have their own strengths, weaknesses, and reputations. We haven't made a final decision yet, but we've at least narrowed the list...somewhat. You'll have to wait til closer to the wedding for the final reveal. Til then, here's a breakdown of the options. Briar Rose is a sweet little family owned and operated bakery in Farmington. Their location is half the charm (a precious little cottage that looks like it jumped off the pages of a fairy tale), but their claim to fame is their fabulously yummy baked goods: breads, pastries, and cakes. I wrote about them in one of my “Fayetteville Favorites” posts. They’re definitely a “must see” if in town. I loved the white and lemon cakes - light, moist, and just enough flavor. The lemon curd filling was by far my favorite and was yummy on my two favorite cakes. The strawberry filling was also excellent. The buttercreams are what Briar Rose is known for - and they live up to their reputation. They were creamy and rich and just lovely. The strawberry was my favorite...unfortunately it doesn't come in "white." The chocolate cake left us wanting more from the flavor, and we're all super picky about carrot cake...so that was a no. I liked the strawberry, but I was alone in that (I did find out later, however, that Momma just doesn't like strawberry cake...so that was a lost battle before it began). As I expected, their selection was delicious. The staff was very kind, despite being in the middle of a crazy weekend, and we really enjoyed our time. The price for what you get, however, is a bit high. Their cakes don't seem to serve as many folks, and are just priced higher than the market. If you're willing to pay for it, however, you can't really go wrong with a Briar Rose cake. Rick’s is a Fayetteville classic. This place has been around for over 20 years and has received numerous people’s choice awards. They’re a full service bakery and deli, but they’re known for their wedding cakes – and for obvious reasons. They crank out some pretty amazing stuff (like this…and this…and this). Since I’ve lived in Fayetteville, most of my celebratory cakes have been from Rick’s – they’re also covered in that Favorites post referenced above. As always, Rick's cake was lovely. They have some of the best chocolate cake around. And their fillings...mmm. Yummy. But I mean with flavors like key lime and amaretto, what else would you expect? The buttercream is, in a word, icky. I don't like Rick's buttercream...never have. It has a funny taste that I can't quite identify. It's peppery or something (Kait says it tastes like metal). The chocolate is a little better, but only because the chocolate masks the weird taste. I had high hopes for the cream cheese icing, and while I didn't hate it, I wasn't blown away either. I know the least about Chuck's. I do know that they've been around for a while. And that they always come up in conversations about cake. Oh! And that they've made several cakes for President Clinton. But that's kinda it. They're located close to downtown Fayetteville in a cute little building, and they're by far the most laid back place we tried. We just walked in, said we wanted to try cake, and they brought us out a plate - all decorated and cute with little buttercream lables (if you can see in the photo below). The white cake was a delightful surprise. I've never had Chuck's cake before, so I honestly didn't know what to expect - and I was wow-ed. Dense, but light, and wonderful flavor. The yellow cake was also quite good, as were all of the fillings (with lemon being my favorite, again). The chocolate cake here also left something to be desired...just doesn't pack that same chocolate punch as Rick's did. The lemon cake was NOT good. I didn't even finish my bite. And while the buttercream wasn't bad, it just didn't blow me away like Briar Rose. Chuck's is still a contender. Their cake was super yummy, and the buttercream was light and creamy. Their prices were much more reasonable than Briar Rose, giving them a significant leg up, but their decorating skills aren't quite on par with Rick's. All in all, they probably fall out as a close second to BR. That's about it for cakes so far. There's one other place we're going to try - one of Mrs. Erin's friends. Til then, we'll probably still be recovering from the sugar coma that occurred post tastings. If you have any suggestions that I've missed (other than Shelby Lynn's...), let me know! We might could summon the energy to try one more place.